The past week has been rainy on and off so we had to take a break from the siding. It goes up quick, though, and generally pretty easily, and we’re looking forward to getting back into it soon! This past weekend, Heather and I took a canoe course so that we would be certified to take the cub scouts out canoeing in the next year. 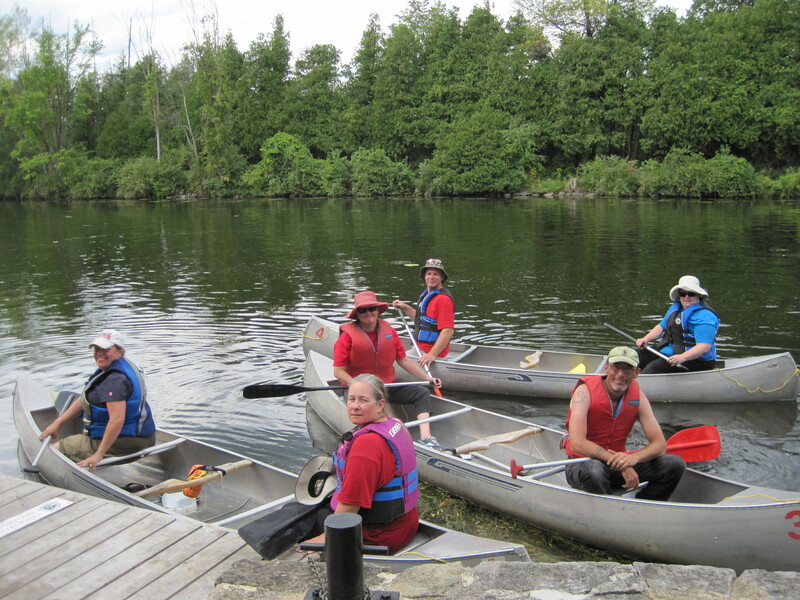 It started on Friday evening with the “wet” component, which involved tipping your canoe and being rescued, or rescuing another team after they tipped their canoe. There was also a swimming component to ensure we had the requisite swimming skills. We did this in the Rideau Canal, thankfully the water is really warm at this time of year! Saturday and Sunday consisted of learning paddling techniques and then being tested on what we’d learned over the whole weekend. At the end of the program we even got to go through one of the locks twice (down, then back up again), which was a pretty exciting experience. Now that we’ve completed the course and passed the test, we are both ORCKA level 3 certified (covers everything except solo canoeing). Sorry that there isn’t more to report on the house front, but we will get back into it soon enough! Forecast looks good this week for some more progress on the siding!